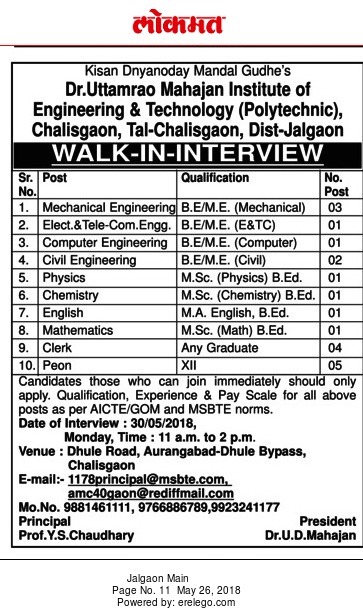 Dr.Uttamrao Mahajan Institute of Engineering and Technology, Jalgaon has advertised in Lokmat newspaper for the recruitment of Lecturers jobs vacancies. Interested and eligible job aspirants are requested to appear walk in on 30th May 2018. Check out further more details below.